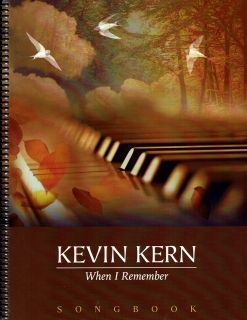 When I Remember is the solo piano sheet music collection for pianist/composer Kevin Kern’s 2016 recording with the same name. 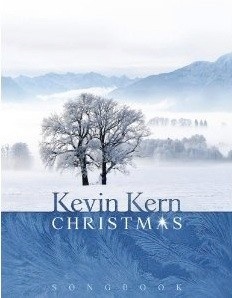 An independent artist for the past few years, Kern spent many years as one of the most popular artists on the Real Music label and established his reputation as a composer and performer of beautiful piano music with an optimistic outlook and lush orchestrations (mostly strings). As a very longtime fan of Kevin Kern’s music, I have been anxiously awaiting the release of his first indie album of all-original music as well as the sheet music for that album, and it was certainly worth the wait! Kern transcribed the sheet music himself using Sibelius Access, a music software program designed for blind composers and musicians as well as those with limited vision. He employed music editor Jimmy Lockett to go over the music and then I proofed it before it was published, so it is as accurate to the recording as is possible. The book is beautifully laid-out from the full-color artwork on the front and back covers to the “About Kevin” page at the end. The notation is clear and easy to read, and includes metronome settings for all twelve of the pieces. The book is spiral-bound and printed on a medium-weight paper stock that should survive many years of playing enjoyment. 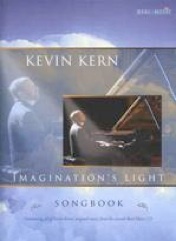 The book also includes an introduction written by Kern with some playing suggestions. The music itself is not terribly difficult, but most of the pieces would fall into a late-intermediate to early-advanced playing level. Some of the key signatures are complicated, as is some of the timing, but with some practice and attention to detail, the pieces are quite accessible. For those with smaller hands, there are a lot of reaches of more than an octave - quite a few ninths and tenths. Rolling or breaking the chords will solve those issues and there are quite a few places where the opposite hand can reach a difficult note, so keep that in mind as you play the songs. This is an exceptionally nice book and I recommend it! It is available from www.KevinKern.com.